- Are you an enchanting, magical being? Yes, you are! Have you always been drawn by the siren call of the sea? 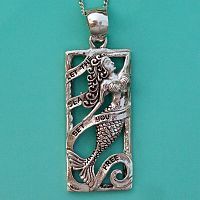 Do you often feel like a fish out of water? No doubt about it. 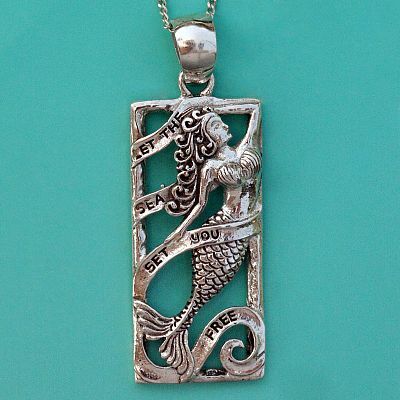 You must be a mermaid! 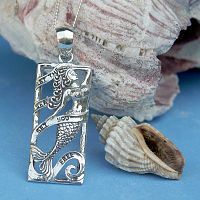 Make some waves with this sterling silver mermaid pendant, and let it remind you that you were never meant to lead an ordinary life. This meticulously crafted pendant perfectly captures the mermaid's grace and strength. 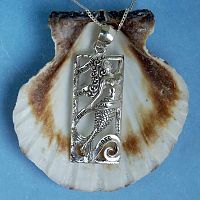 The words on her banner read: "Let the sea set you free". 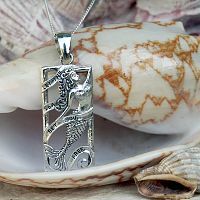 This pendant measures 1 3/4" tall, including the bail, and it comes with an 18" sterling silver chain. 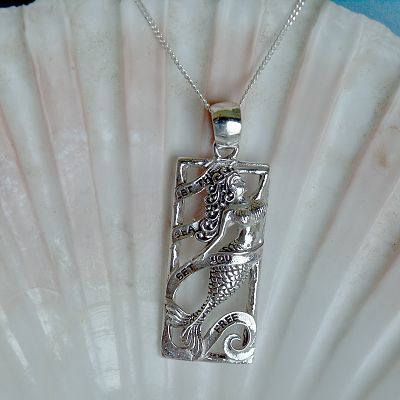 Do you have any other questions about our Silver Mermaid Pendant?